← Rick Owens F/W 2015: Groundbreaking, or Branding Strategy? 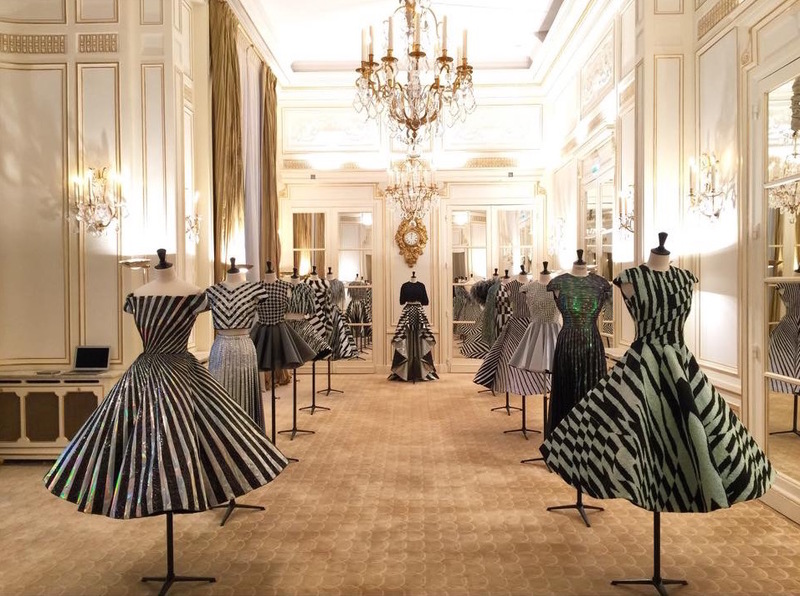 The talented and rising Lebanese designer Rami Kadi released his Spring/Summer 2015 Haute Couture Collection in Paris at the Plaza Athénée, on Avenue Montaigne, on January 28th 2015. The collection, entitled “Les Illusions Exquises”, fully delivers on its whimsical theme with beautiful looks that are delicate and full of impeccable craftsmanship. A modern twist to the monochrome palette, this wondrous designer creates optical illusions through the fabrics used and through his artisanal embroidery techniques. 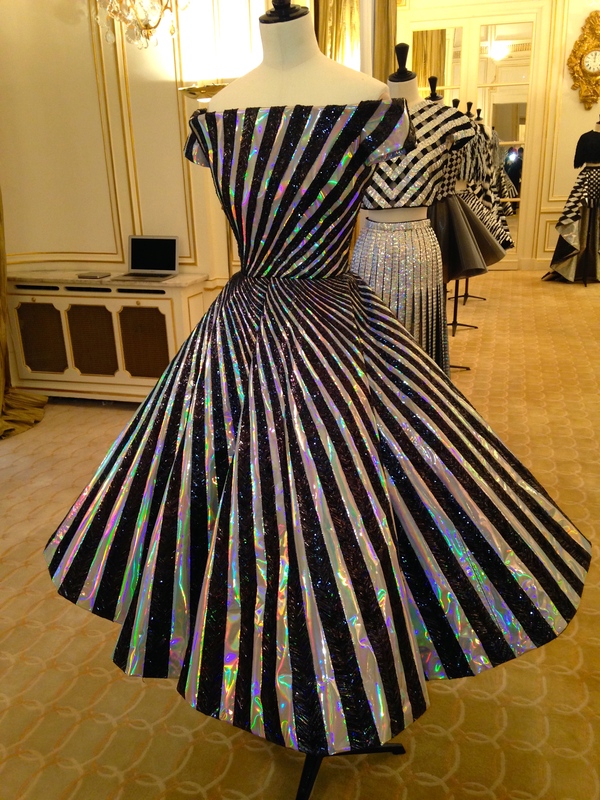 It is evident that the main theme of this collection is a psychedelic optical illusion. 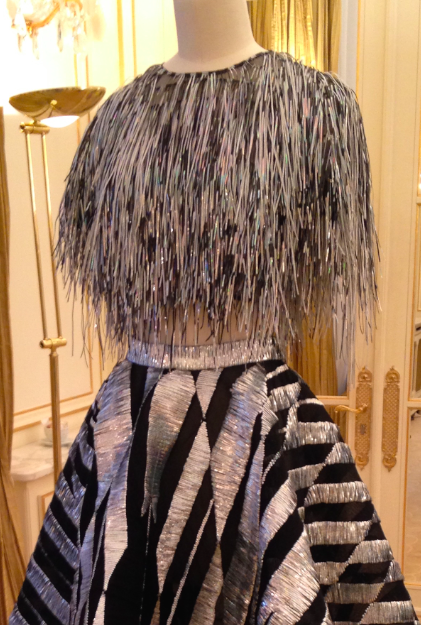 The use of untraditional fabrics, such as iron metal spring, iridescent thread, mousseline, feathers, sequin, and pearls, to name a few, is what truly makes this collection unique. Kadi aimed to achieve an iridescent optical illusion look from the materials he used – and this he was able to do exquisitely. To add to the optical illusion effect, Kadi used the mirror effect with the contrasting colors black and white. I had the great pleasure of meeting and interviewing Mr. Kadi. His favorite look from the collection is this one below as it was the most demanding look to create as it required a great amount of leather embroidery. His inspiration for the collection is the current events occurring in our world. Kadi used the colors black and white to represent the crises that are constantly occurring in our day and time; through the iridescence effect, Kadi embodies light and hope into his pieces to shine through the dark times. If anything similar to Lebanese designers Elie Saab and Zuhair Murad, Rami Kadi, along with his intricate couture designs will soon be taking the fashion world by storm. 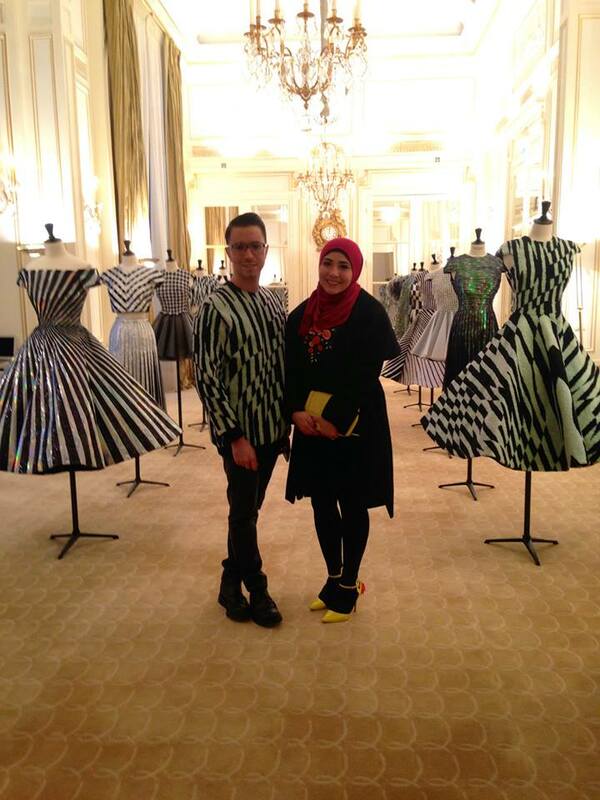 I cannot wait to see what is next for this outstanding, up-and-coming star in the Haute Couture world.